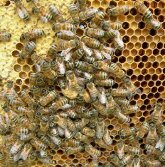 There’s more than a couple of reasons why it’s been so quiet on here but one major reason is while we were away on hols the camera got dropped into the sea! Digital cameras and salt water don’t mix it seems and no matter how much drying time I give it it refuses to take another piccy. 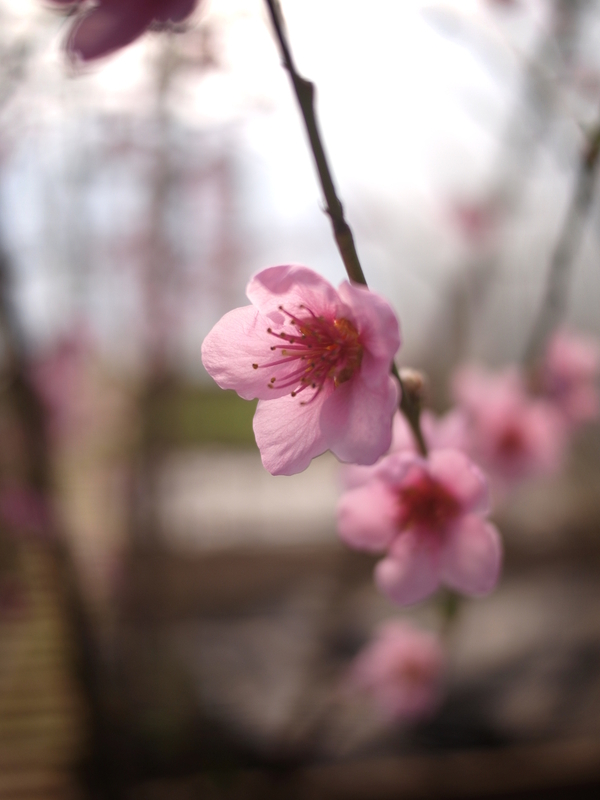 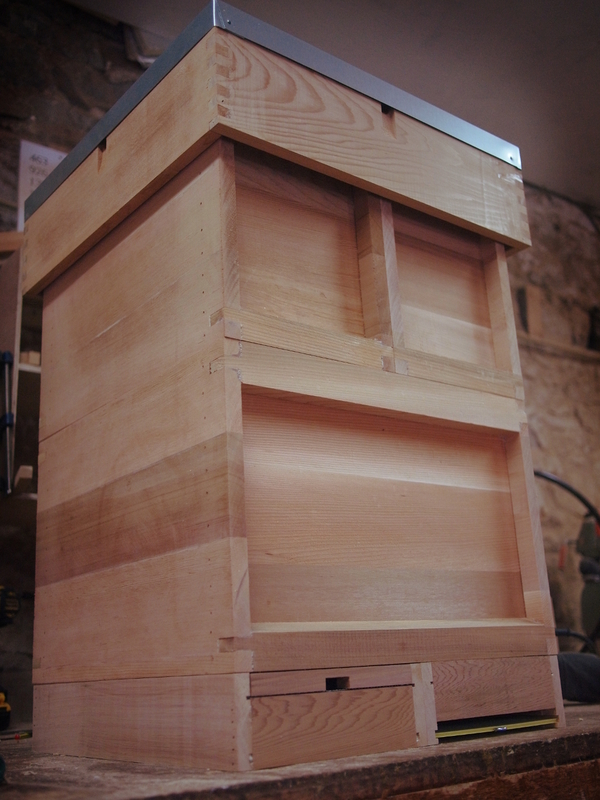 Took receipt the other day of a new camera and can finally take some shots to put onto the site again…One of the other reason it’s been so quiet is I’m spending as much time as possible in the workshop to make up orders. 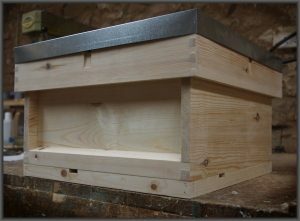 Off the top of my head this weeks production has included…around 50 flat pack national supers, 25 flat pack national brood boxes, a dozen or so of broods and supers assembled, several Varroa Open Mesh Floors, two standard floors (yes there are still experienced beekeepers who use them), around 14 4″ roofs, 1 complete 14×12 hive in cedar and an accompanying nucleus hive (pictured) and a few ashforth feeders…phew. 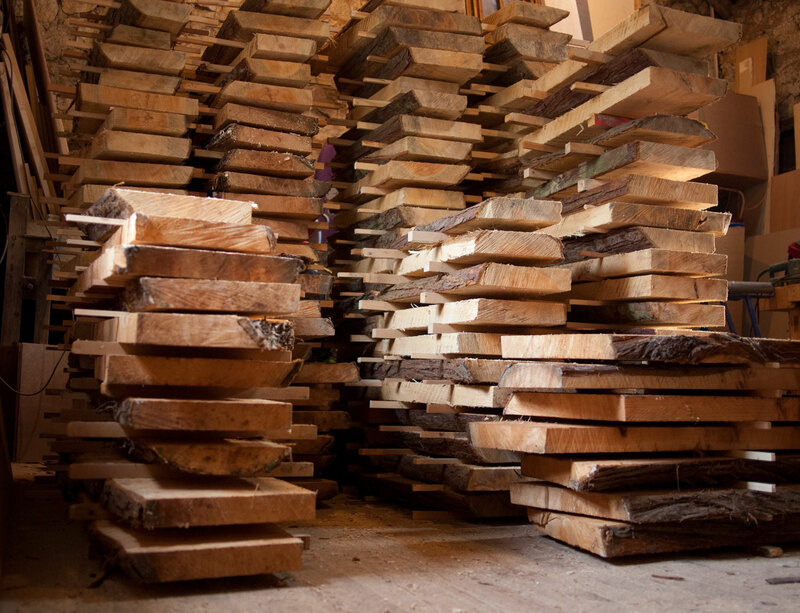 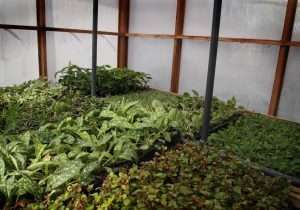 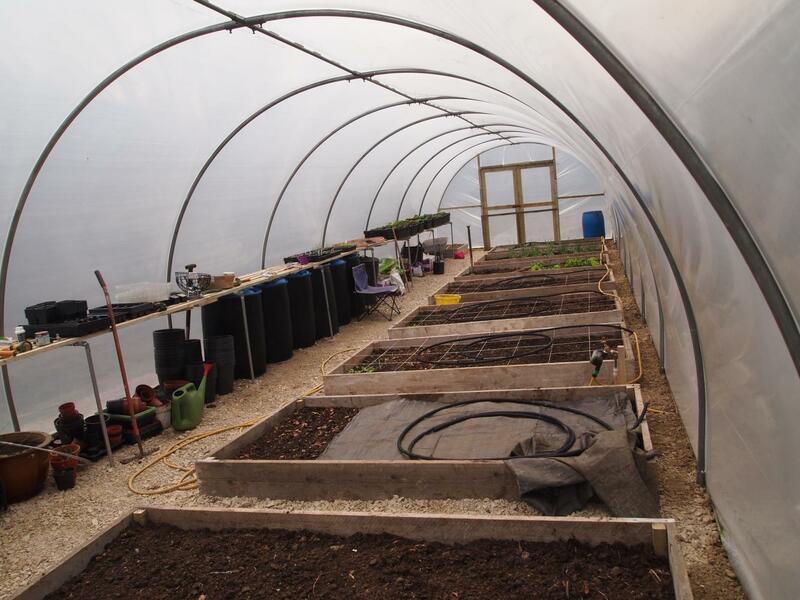 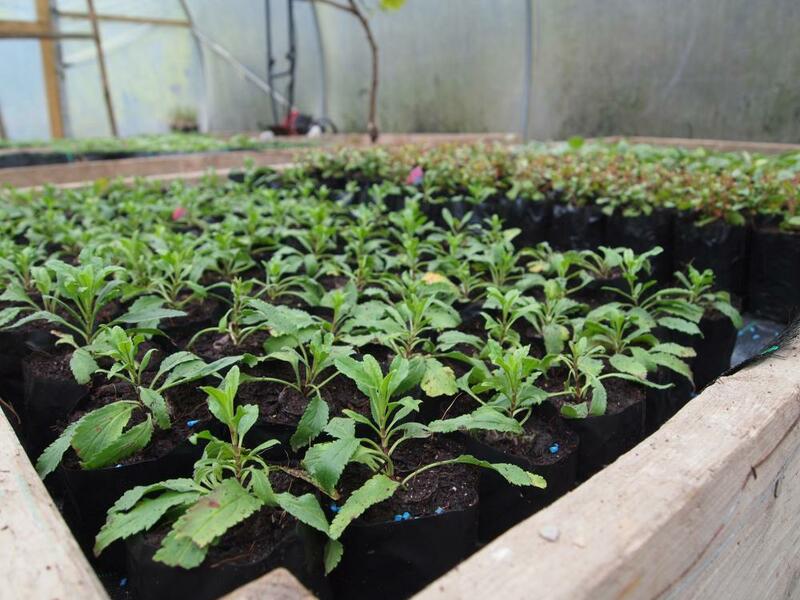 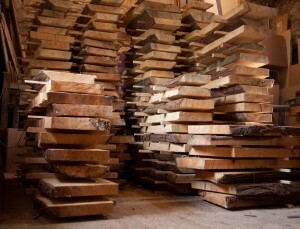 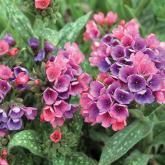 There’s lots more to make up though and we certainly do thank our customers for their patience. 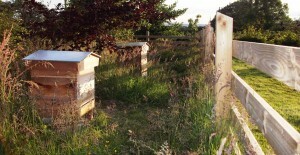 Think I’ll give them a little help with some cut up Kingspan. Just finished for the 2 week hols. 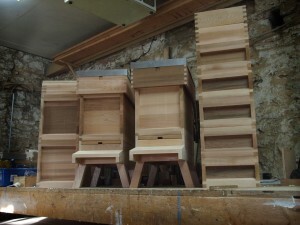 We’re taking the ankle biters to France camping. 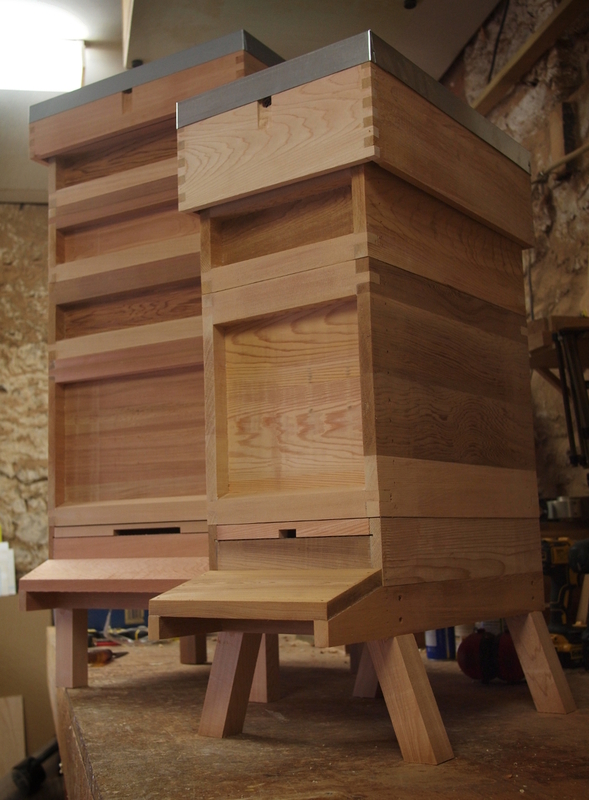 Euro Exchange rate could have been kinder but what the hell…this year has been about building up to this so we’re going no matter what. 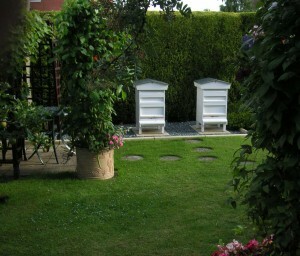 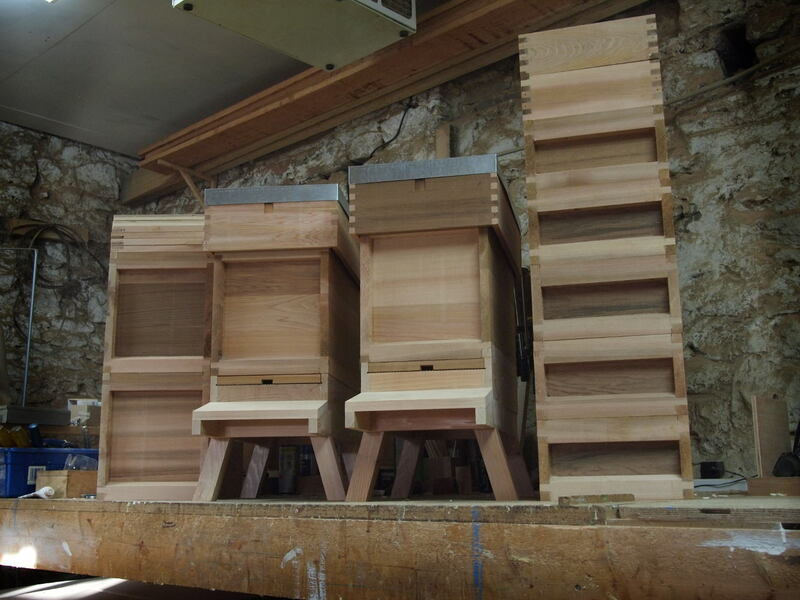 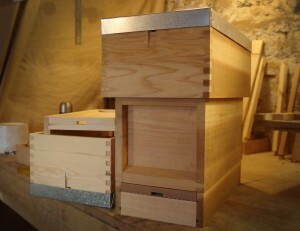 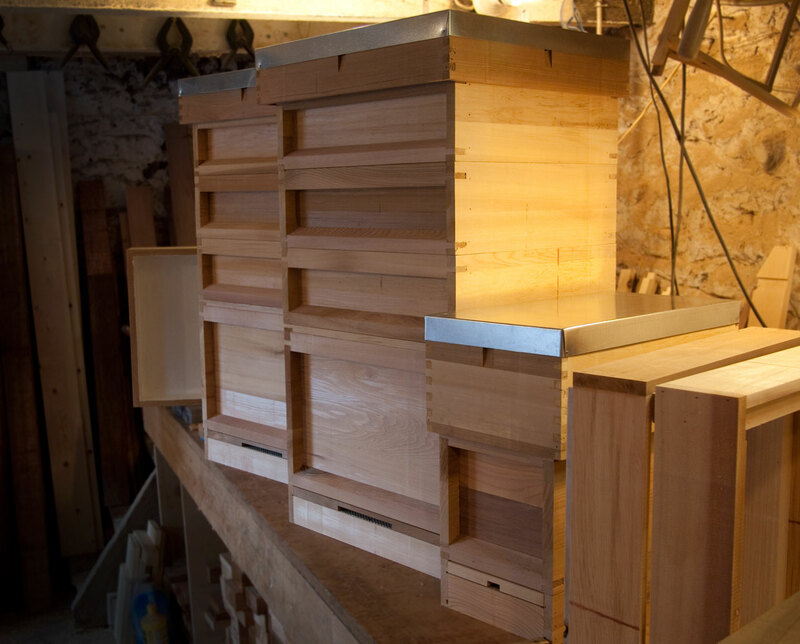 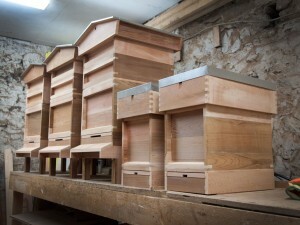 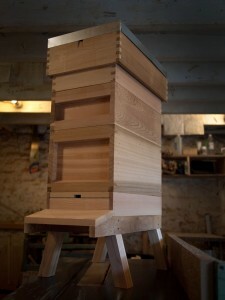 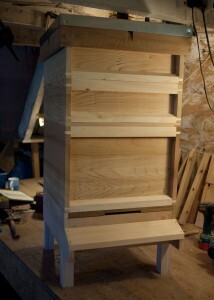 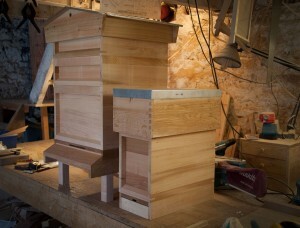 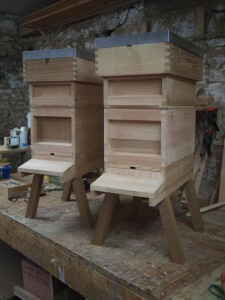 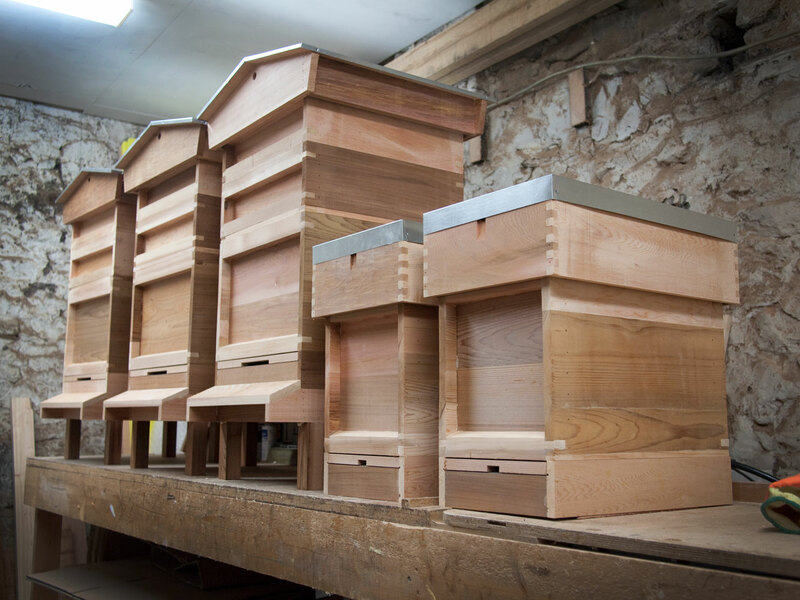 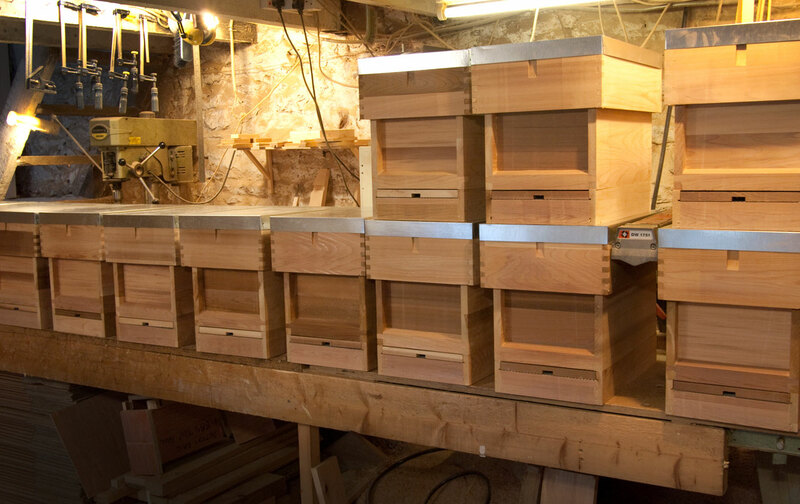 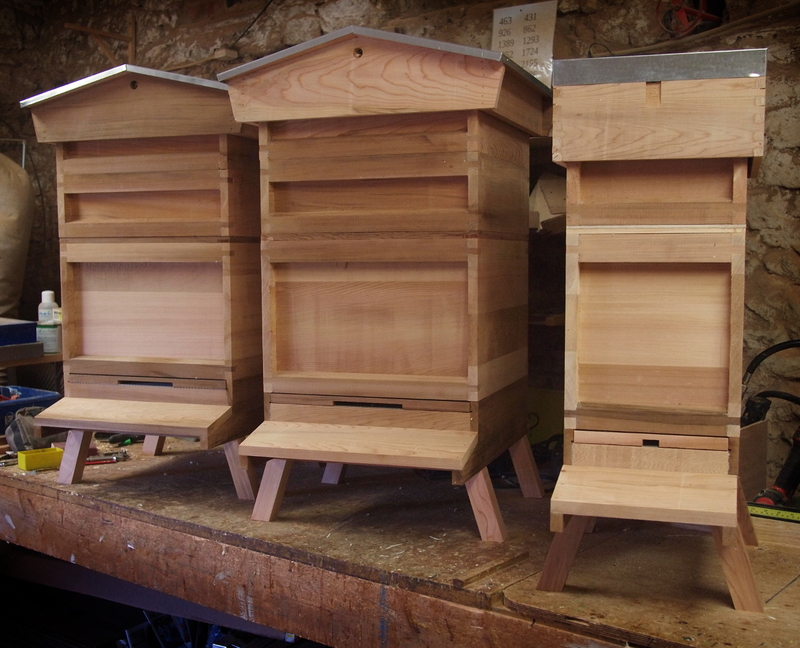 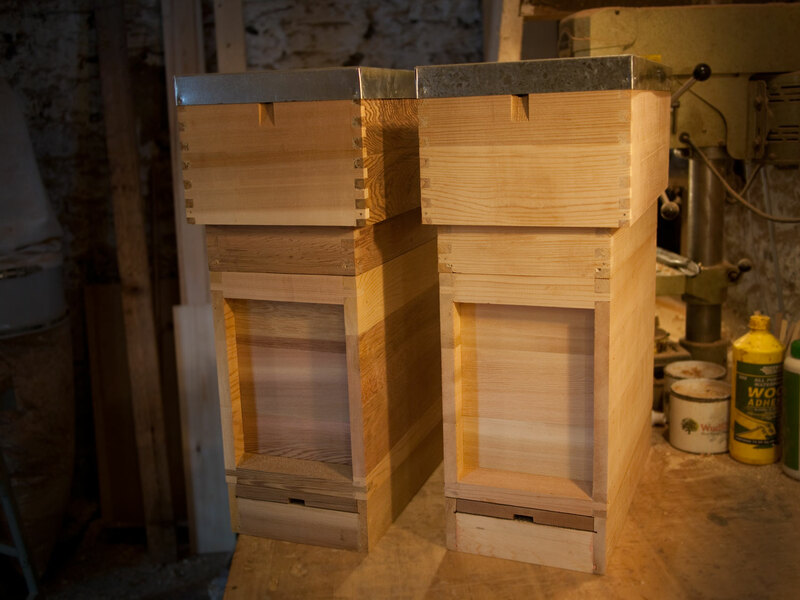 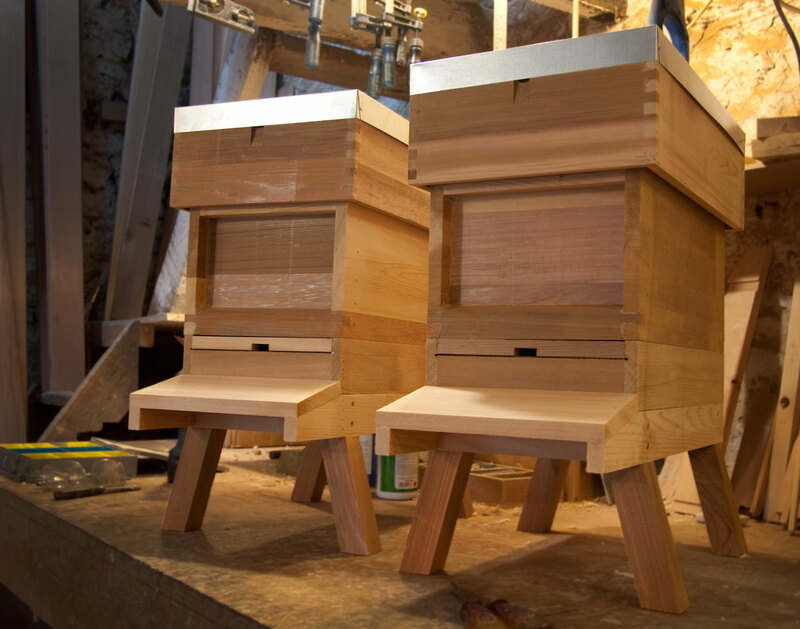 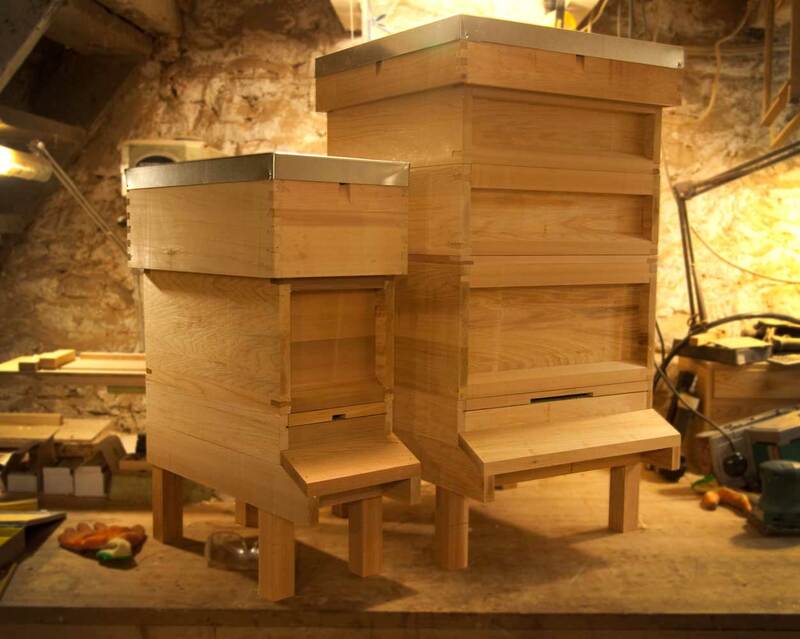 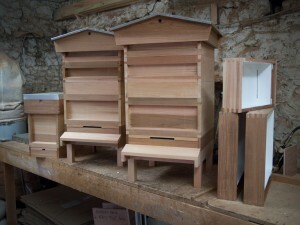 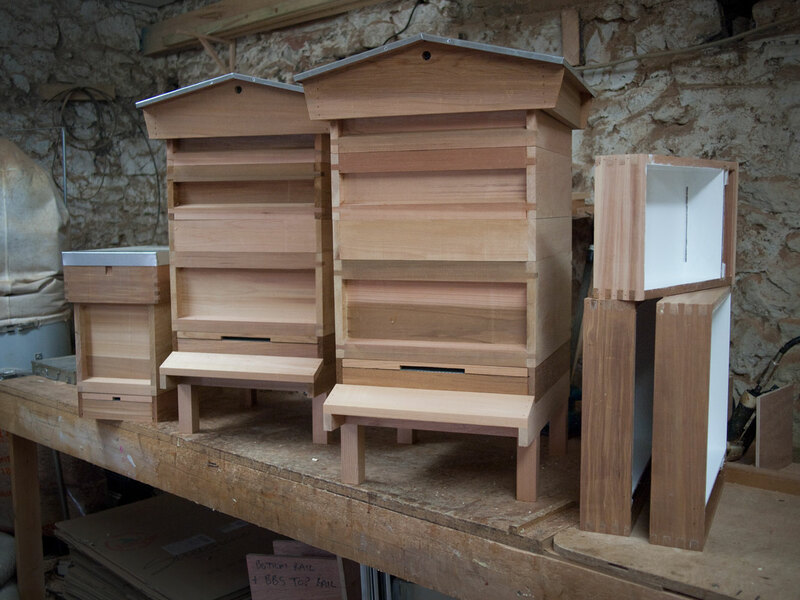 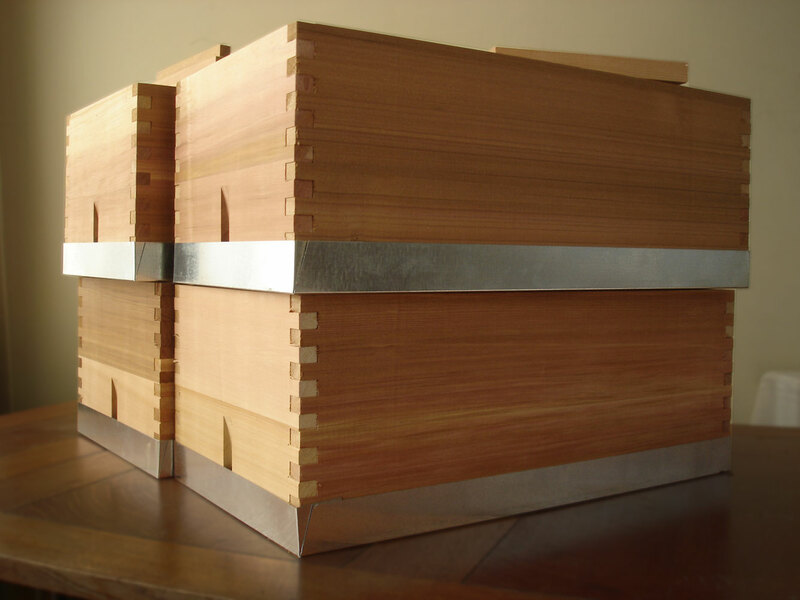 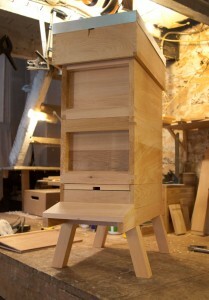 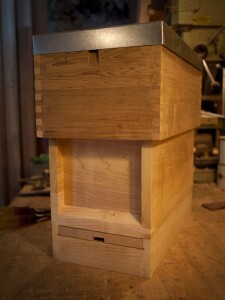 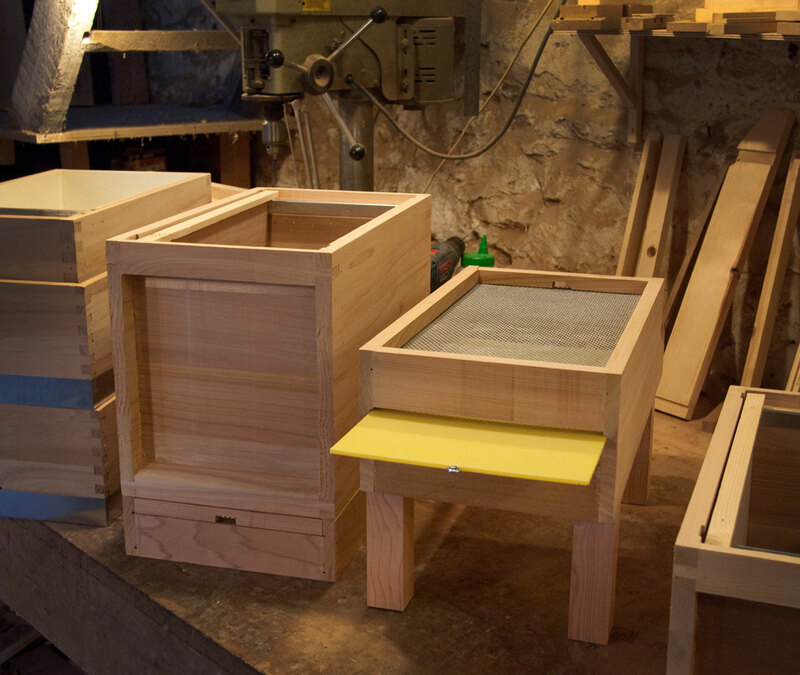 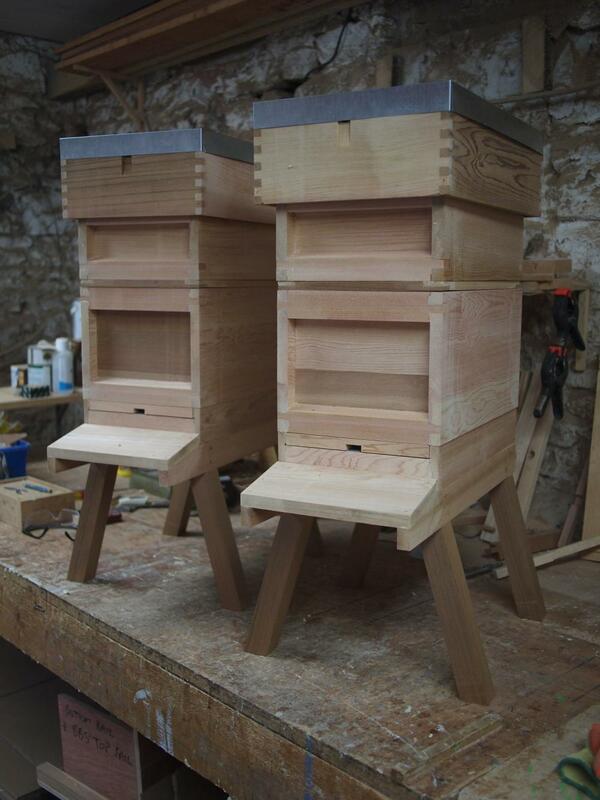 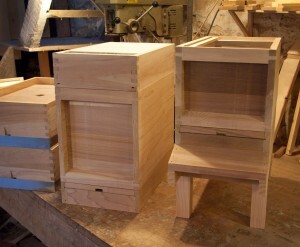 Here’s a couple of National Nucleus Hives I’ve finished today. 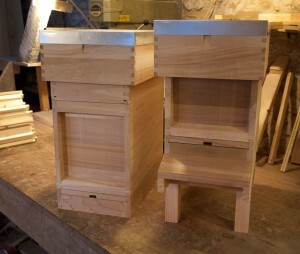 On the left a flat pack National Nuc in Red Deal with a standard floor. 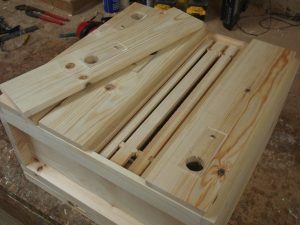 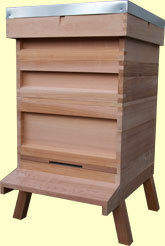 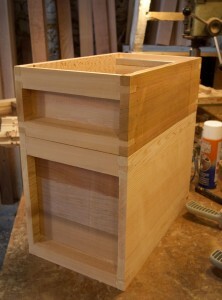 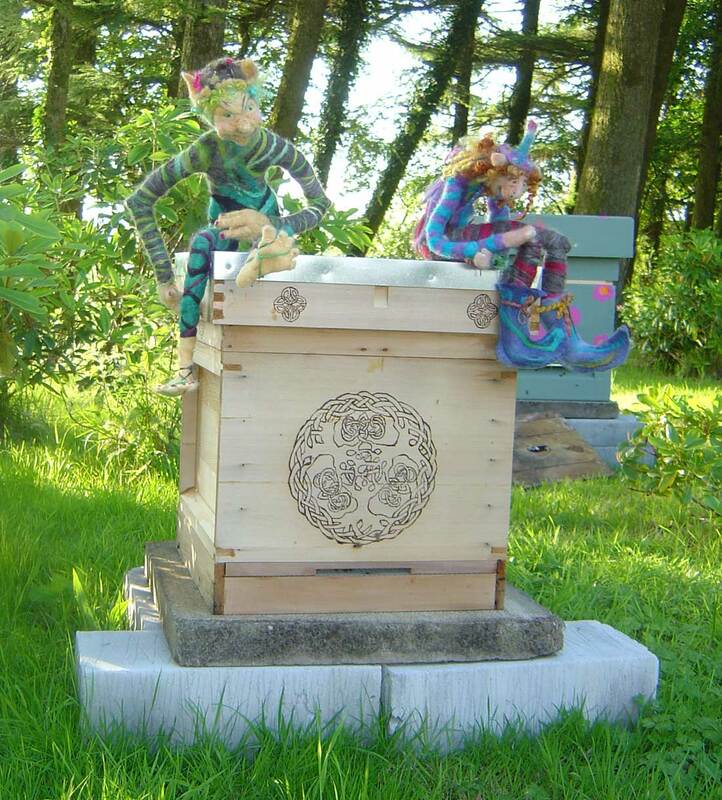 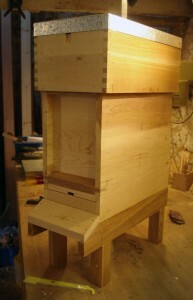 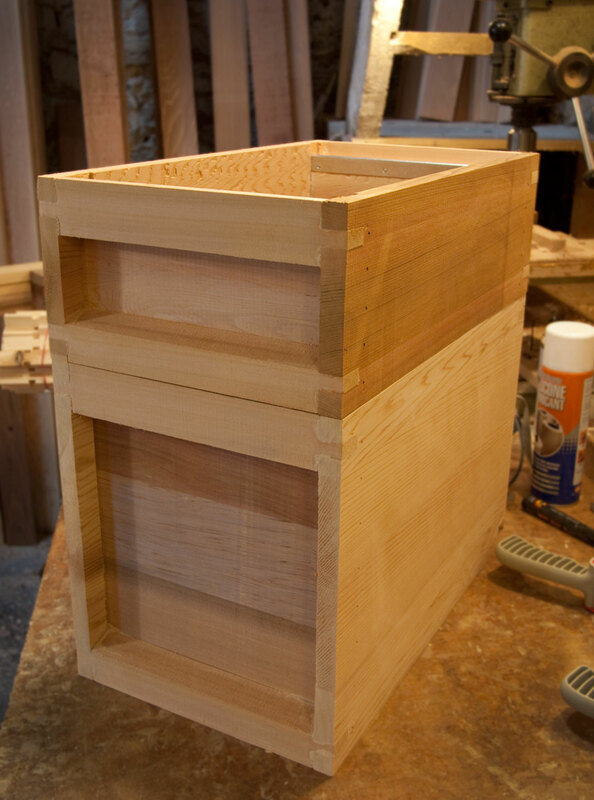 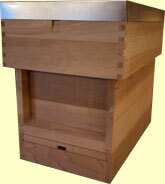 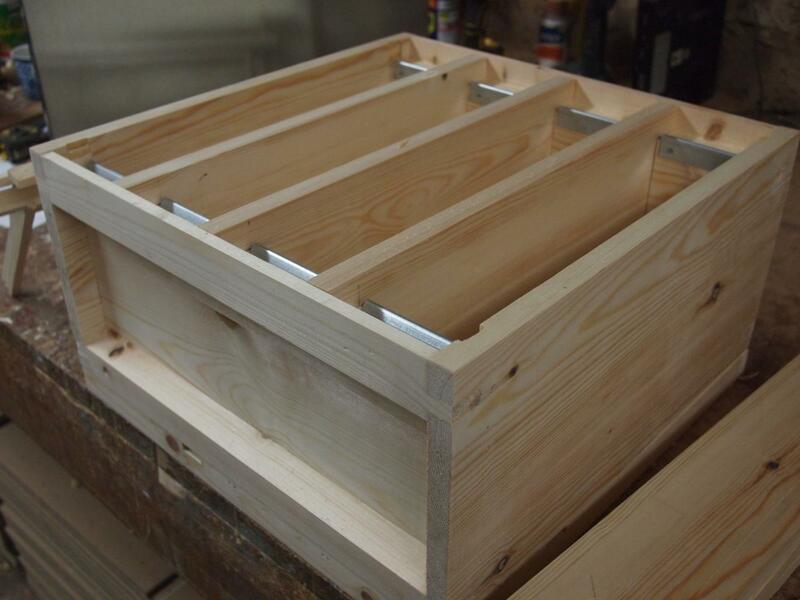 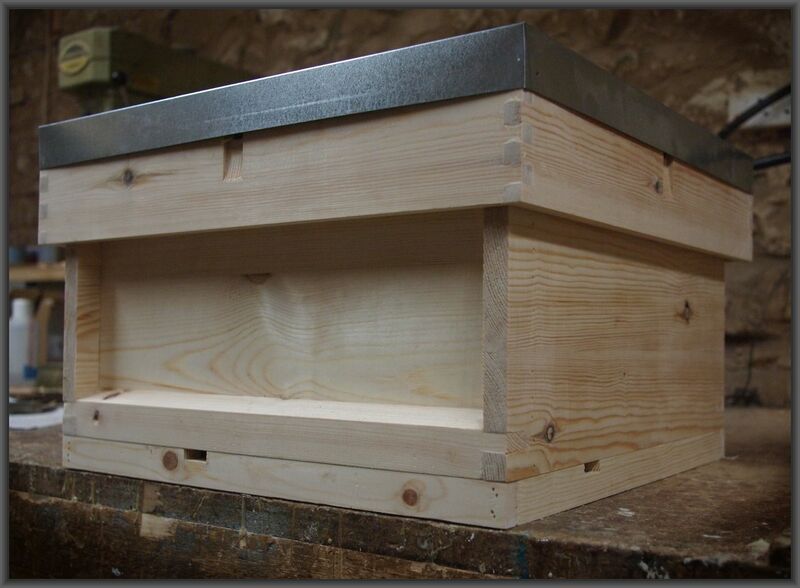 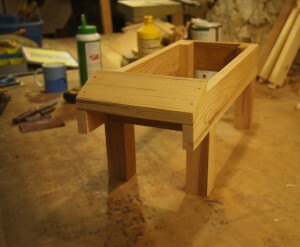 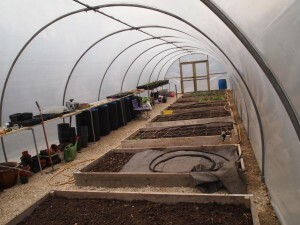 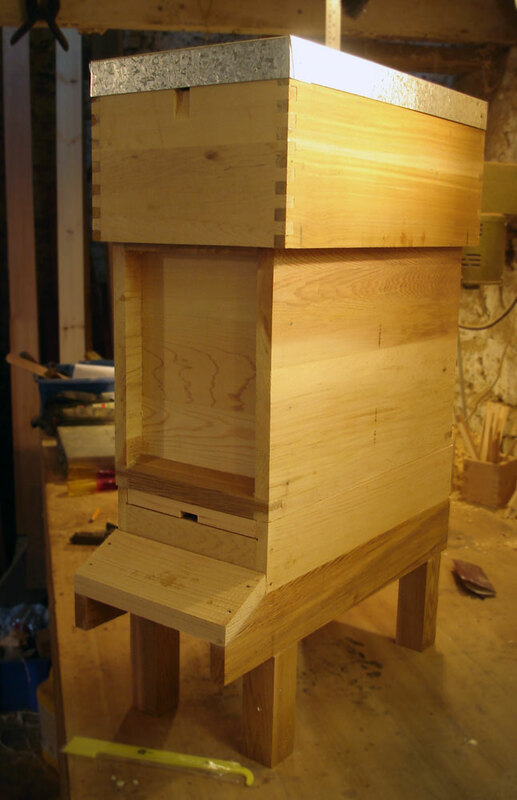 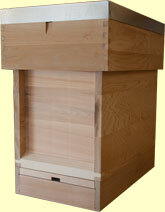 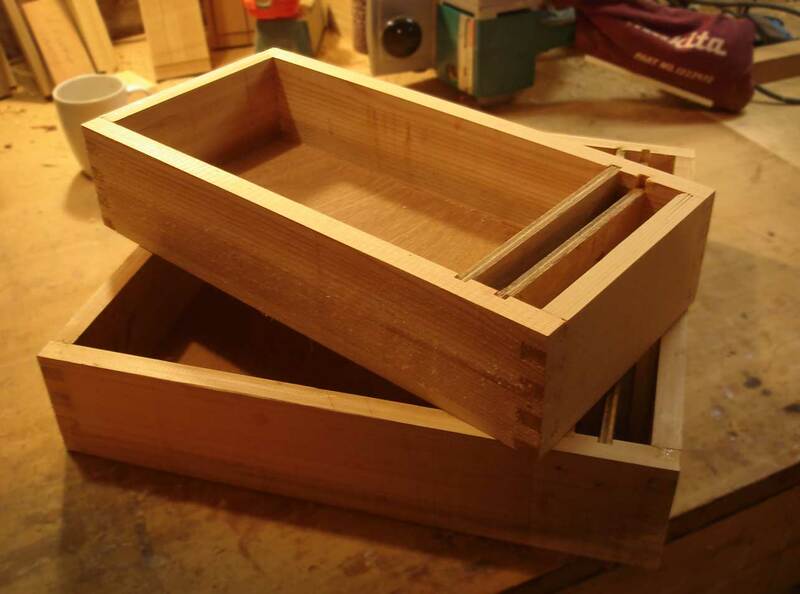 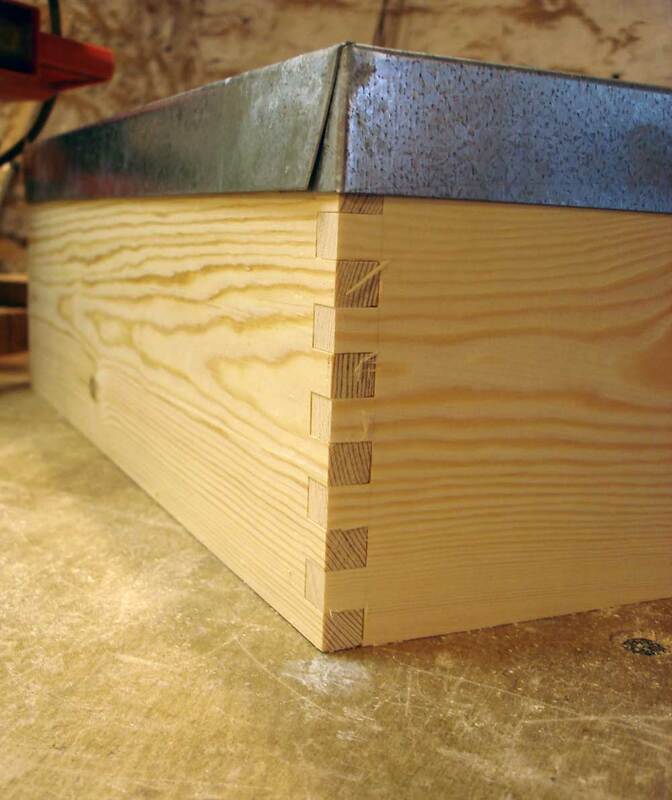 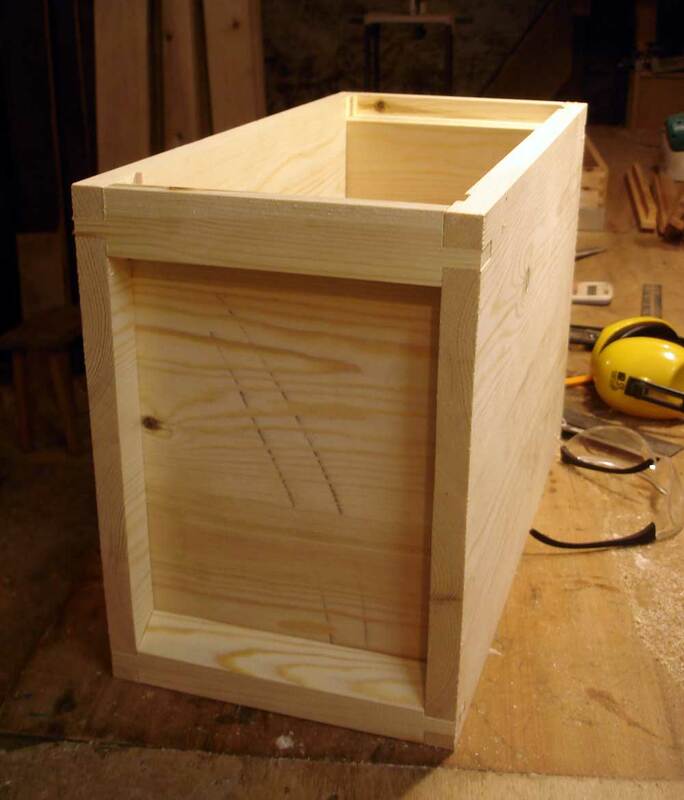 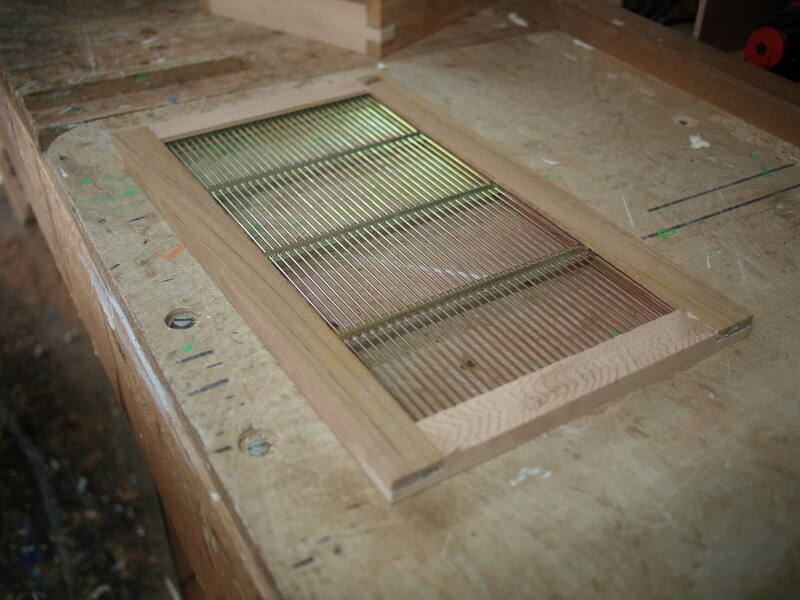 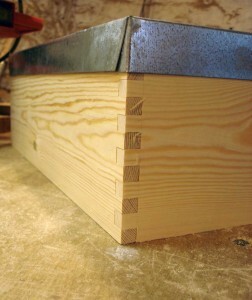 On the right a fully assembled Cedar National Nuc with Varroa Floor (with slide out tray). 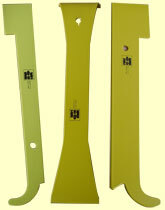 Both take 5 Hoffman DN4 frames with an extra 8mm manipulation space.